The recent audit of New Jersey’s economic development incentive programs did not say the jobs promised by companies that received them were never created, only that the data collection was not sufficient to verify them. That was the upshot of the testimony by State Comptroller Philip Degnan, whose audit of five New Jersey incentive programs run by the New Jersey Economic Development Authority (EDA) was the impetus for Gov. Phil Murphy to highlight oversight and effectiveness of the programs, while proposing ways to revamp the programs. Because of that, any incentives actually paid to the company based on that job would have been inappropriate, Degnan explained. 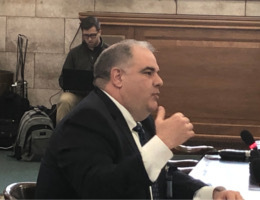 Degnan was testifying before a joint committee meeting of the Senate Economic Growth and Assembly Commerce & Economic Development committees, whose members were trying unpack what the audit actually said about the effectiveness of the state’s economic development incentive programs. Committee members, however, said the reference to inappropriate payments and other language in the report created the impression that the programs were not working as intended, and not simply a lack of data to confirm that they are working as intended. “I think a lot of things have been misconstrued with regards to the report because it’s really in respect to EDA and how things are handled in-house and not necessarily a tell-tale of how the incentives are working,” said Assemblywoman Pintor-Marin. Additionally, EDA CEO Tim Sullivan, who testified after Degnan, said his office was careful about the way it paid out incentives, being sure to review the certifications from the companies that are receiving them and working in close consultation with the state Attorney General’s Office while approving any projects. The agency has created a division of Portfolio Management and Compliance, which is run by a senior vice president who reports directly to him as CEO. EDA is also working on a data-sharing program that will allow it to cross check job creation certifications with the records kept by the New Jersey Department of Labor and Workforce Development. “Having a more robust integrated data set…we think will provide us a pretty powerful tool,” Sullivan said. Another point of discrepancy between the comptroller’s report and EDA was how much the incentive programs actually cost. While the report referred to $11 billion in awarded incentives, the amount that has actually been paid to companies is considerably less. As referenced in the Audit of the approximately $8 billion EDA has approved for projects under the HUB, ERG, and GrowNJ programs, a combined total of $696.7 million has actually been paid out to date.